In a previous blog post, I introduced the concept of Social Return on Investment, or SROI. Developed by the New Economics Foundation (NEF), SROI is a tool that helps non-profits measure the impact of their programs and services in economic terms. Below I’ve created a fictional case study that illustrates how a non-profit called The Toronto Literacy Foundation determined its SROI. Please note that I based this case study on the NEF article Measuring social impact: the foundation of social return on investment (SROI). Founded in 2003, The Toronto Literacy Foundation (TLF) is a small non-profit that delivers literacy programs to elementary school students in Toronto, Ontario. In response to a major government research study linking high school illiteracy to high school drop-out rates, criminal activity and unemployment, the Board decided to create a three-year pilot program for high school students. Board members initially raised $146,000 for the pilot program from four donors: two private philanthropists, one corporation and one foundation. High school students with strong literacy skills graduate high school and contribute socially and economically to their communities. Who are the people that matter to us and what are their objectives? How should we prioritize our stakeholders? What do our stakeholders determine as “success”? 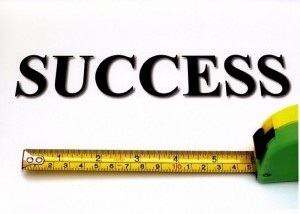 What metrics can we use to measure success? Are our current internal and external communications efforts targeting the right stakeholders with the right messages via the proper channels? Guided by the stakeholder analysis and benchmarking data gathered from comparable organizations or programs, the TLF identified short and long-term key performance indicators (KPI’s). Short term or “tangible results” included things like the number of students enrolled in the program. Long-term indicators looked at the impact of achieving these goals over time, such as an increase in literacy that had a positive effect on learning outcomes or employment opportunities. 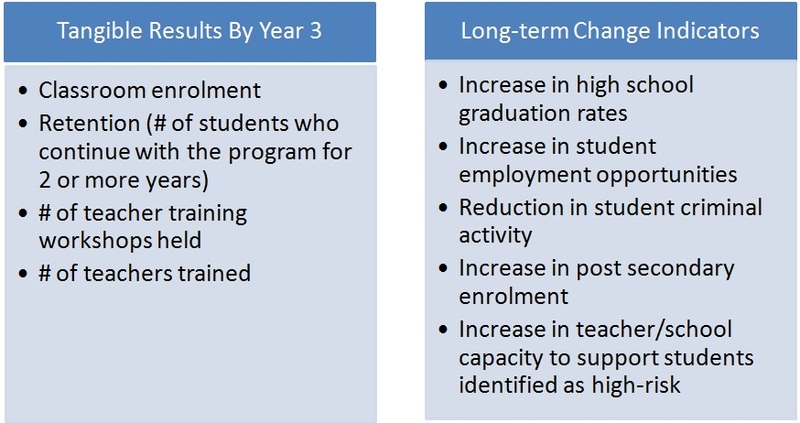 Once the TLF identified their KPI’s, they adjusted the outcomes to take into account what would have happened irrespective of the program (such as students who would have graduated or a found a job regardless). The tool below helped the TLF estimate that by year three, 8,272 students will have gone through program – which works out to a financial investment of just over $17 per student – little more than the price of a movie. 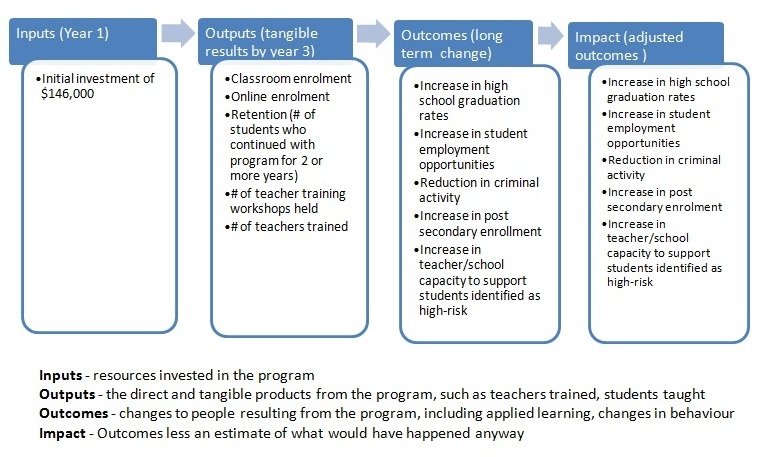 To calculate their SROI, the organization looked at the economic impact of the program on outcomes like the increase in student’s incomes as they succeeded in finding employment, a reduction in government social assistance and crime related costs. Their research was informed by government statistics, surveys and the help of a public policy consultant. These tools helped the TLF improve ongoing program management and evaluation and communicate the value of the program to their stakeholders in a relevant, useful and transparent way. From the outset of the new high school literacy program, the TLF identified the KPI’s that would be a priority for their internal and external stakeholders. They created a ”theory of change” that they could substantiate with their SROI evaluation. As a result, the TLF was able to communicate powerful, transparent and relevant stories about the program and its social and economic impact on the community.